Key West, Florida – (June 6, 2016) – Papa’s Pilar®, the award-winning, premium sipping rum inspired by Ernest Hemingway, will release 2,300 cases of custom barrel aged dark rum in time for Papa’s Day (aka Father’s Day) in select markets. The team of Master Blenders created two special edition expressions of custom barreled Papa’s Pilar Dark, which, after solera aging in American oak bourbon barrels, port wine casks, and Spanish Sherry Casks, were further aged in bourbon barrels for an additional 90 or 120 days, respectively. Upon introducing the barrel program, the “Account Distiller” can select to custom barrel age Papa’s Pilar Rum for an appointed set of days, while receiving notoriety in the account for their craftsmanship. A custom side label with account logo and barrel number will adorn every bottle. 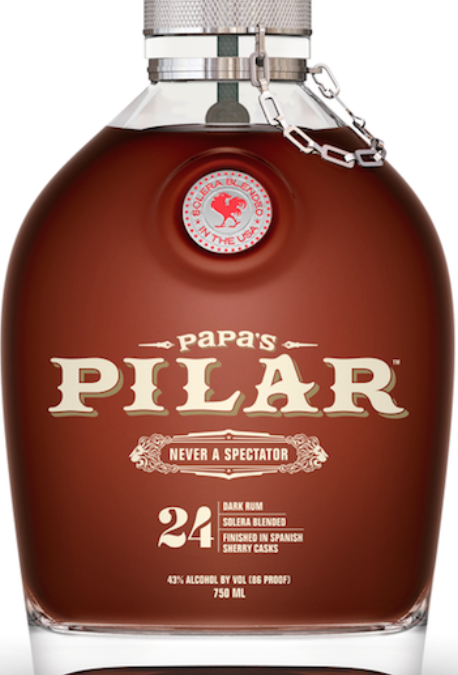 Papa’s Pilar Dark is a bold and complex sipping rum, which is both pot and column distilled and boasts hand-selected rums up to 24 years old, and a long, velvety finish. At 86 proof, it is comprised of rums that are hand-selected from ports-of-call in the Caribbean, Central America and the U.S.A. for their age, character and maturity. The expression was named “Best Rum in America” by the Caribbean Journal in 2014 and won a “Double Gold” Medal at the 2013 San Francisco World Spirits Competition. In addition to the two new expressions, Papa’s Pilar will host a picture contest on its facebook page for Papa’s Day, with three chances to win, beginning on June 4. Participants are asked to submit a photo of their Papa’s Pilar Custom Barrel bottle. Entries must include the hashtag #PapasDay. No purchase necessary to enter or win. Participation is limited to legal residents of the continental U.S. and must be 21 years of age. Papa’s Pilar is meant to rekindle a sense of adventure in us all. “Papa” as Ernest Hemingway was known, lived an epic life full of perpetual motion, and Papa’s Pilar was crafted to accompany rum enthusiasts as they sink their teeth into life. Named for his muse and one true constant, Pilar is the vessel that allowed America’s literary giant to reach beyond the shoreline, feast on life and remind us to never be a spectator. Papa’s Pilar custom aged barrel rums are available in 750ml bottles in both on- and off-premise accounts in California, Florida, Georgia, Illinois, Indiana, Kentucky, Louisiana, Massachusetts, Michigan, Minnesota, Nevada, New Hampshire, Rhode Island, Tennessee, and Texas. The suggested retail price for both the 90 and 120-day product is $39.99. Prices may vary by market. Papa’s Pilar was developed in conjunction with Ernest Hemingway’s estate. The Hemingway family donates 100 percent of their royalty profits from Papa’s Pilar Rum to charity. The brand is the “official rum” of the Coastal Conservation Association of Florida, partner of the International Game Fish Association, and works with local charitable foundations and causes dear to Hemingway and his heirs. Hemingway Rum Company, LLC is a distilled spirits company based in Florida that’s dedicated to producing super-premium multi-sourced solera blended artisanal rums. The Company’s inaugural offerings are Papa’s Pilar® Dark and Blonde rums, incepted and crafted by a seasoned team of best-in-class partners. The Company encourages consumers of legal drinking age to Live Courageously and Drink Responsibly and proudly supports local organizations that serve Ernest Hemingway’s adventurous, literary and conservational legacy. Papa’s Pilar plans to break ground on a new distillery and experience center in 2016 in Key West, Florida, further honoring Hemingway’s contribution to the classic spirit of the city in which he once lived. Papa’s Pilar® is a proud member of the Distilled Spirits Council of the United States (DISCUS). Chicago (June 16, 2016) – LKH Management (LKH), the group behind Andersonville’s recently opened Replay and Elixir, announced that its eighth property, Lark, will officially open to the public Thursday, June 16. The first 50 people through the bar and restaurant’s doors that day, beginning at 5 pm, will receive a voucher for one free pizza, available for redemption by July 31, 2016. Between 5 pm and 2 am, everyone who visits the new venue will be eligible to enter to win free pizza for a year*. Located at 3441 N. Halsted, in the former Halsted’s Bar + Grill space, Lark will offer an ideal environment for drinks seven nights a week, where guests can listen to music from the 80s and 90s until 2 am Sunday through Friday and 3 am Saturdays, as well as watch music videos from those eras playing on the 13 large screen TVs. Lark will also offer authentic Neapolitan wood-fired pizzas, as well as pasta, sandwiches, entrées, salads, appetizers and weekend brunch. Lark plans to be among a handful of officially certified Neapolitan pizza establishments in Chicago. In order to obtain certification from The Associazione Verace Pizza Napolitana (VPN), Lark must adhere to strict guidelines, including what ingredients are used, how the dough is made and how long the pizzas are cooked. Chefs Bernardo Ibarra (Girl and the Goat) and Kaz Medhat (Magnolia Café), recently leading the culinary team at Replay and Elixir in Andersonville, will helm the Lark kitchen. Creating a menu rich in flavors, the chefs will incorporate inspirations from Italy and beyond while Lark’s beverage director, Vlad Novikov, will curate drink offerings consisting of craft cocktails, extensive wine by the glass options and 16 tap beers. The 2,400 square foot venue will accommodate approximately 90 people, and open onto one of Lake View’s largest existing patios, doubling the venue’s capacity with nearly 100 additional seats. In addition to bar and table seating, guests can choose to sit and watch the chefs prepare and cook the pizzas around the Mugnaini pizza oven, dine and drink at the historic handcrafted wooden bar, or lounge in comfortable seating surrounding Lark’s working fireplace. Exposed brick and handcrafted wooden details will line the walls of the new venue. DJs will play 80s and 90s records Thursday through Sunday nights from 10 pm to close. 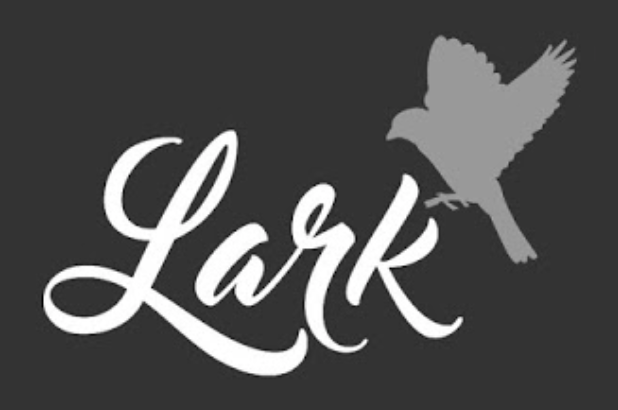 Lark will be open Monday through Friday 5 pm – 2 am, Saturday from 10 am – 3 am, Sunday 10 am – 2 am. Dinner will be served every night from 5-10 pm. Brunch will be available 10 am – 3 pm Saturday and Sunday. Late-night pizza and limited menu options will also be available nightly until close. Please visit http://www.larkchicago.com/ to sign up for updates and special events, and “like” us on Facebook https://www.facebook.com/larkchicago, Twitter: https://twitter.com/LarkChicago, Instagram: https://www.instagram.com/larkchicago/. *One winner will receive one free pizza per week for one year (52 total pizzas) starting Monday, June 20, 2016. Limitations will apply. CHICAGO – To help preteens, ages 9 to 13, prevent social media from deflating self-worth, a new book, titled Love Yourself(ie), Life Lessons for Building Kid Charisma™, is available today on Amazon. With a focus on self-love, the book teaches ‘what we think of ourselves matters most’ and how to use self-acceptance to keep others from influencing bad feelings or behaviors. Although navigating friendships, belonging, self-image and bullying has long been part of growing up, social media today makes the experience public – which is fueling record levels of preteen insecurity and acceptance-seeking behaviors that range from obsessing over appearance to taking down unpopular posts in tears. Love Yourself(ie) is a fictional story of a young girl, named Harper, who learns to use self-acceptance to filter social media and manage peer pressure and competition. Endorsed by leading child development experts, educators, parents and preteens, the book is a highly relatable story kids see themselves in, with a practical perspective and advice they can use to understand what they are feeling and become more confident and true to themselves – on social media and in life. Written by Chicago business executive Andrea A. Lewis in collaboration with renown beauty expert Nicole Pearl, both of whom are moms, Love Yourself(ie) fills a gap the two saw in resources to make social media a more positive experience. 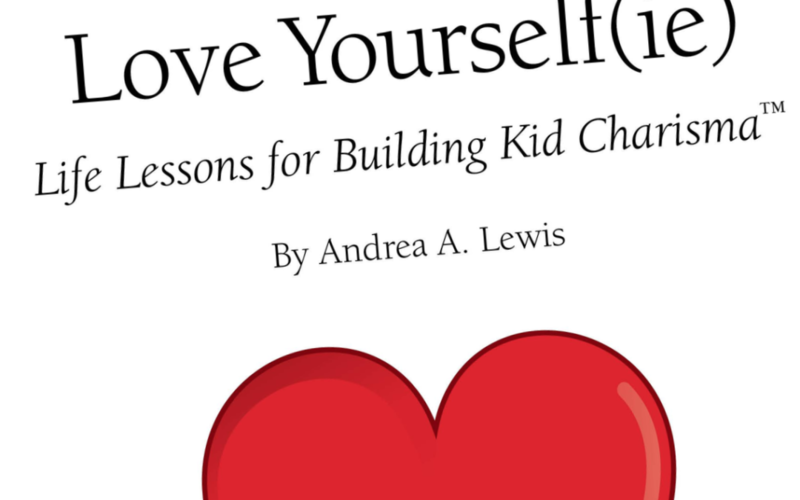 The story is derived from life lessons that shape Andrea’s character strength, infused with Nicole’s expertise on the relationship between self-esteem and beauty, and dedicated to all preteens – and the parents, educators and youth advocates who care about their well-being – growing up in the digital age. Love Yourself(ie) is available in print and Kindle versions for $9.99, on Amazon. For more information about Andrea and the book, search LifeLessons4KidCharisma on Facebook and Instagram, or visit www.lifelessons4kids.org. For information about Nicole, visit www.nicolepearl.com. Chicago, Ill. – (June 1, 2016) – Argo Tea®, the Chicago-based premium tea brand known for all-natural tea-based signature drinks and premium loose-leaf teas, has collaborated with Kefiplant, to offer tea and wellness enthusiasts freshly-made, custom Kombucha concoctions they can’t find elsewhere. Quebec-based Kefiplant, the expert manufacturer of certified organic fermented herbs, uses a patented fermentation process that packs the “live” culture with probiotics, enzymes, organic acids, antioxidants, and other metabolites to create their signature Kombucha. “Kombucha by Kefiplant is processed by scientists with the highest quality standards, which allows us to create a living culture packed with nutrients that provide healthy digestive benefits and assist in overall body detoxification,” said Chantale Houle, President, Kefiplant. Kefiplant’s Kombucha inspired Argo Tea’s imaginative mixologists and intelligent nutritionists to create an effervescent living drink that’s made-to-order. Argo Tea café customers will choose from the company’s Classic Black Tea or Green Tea Ginger, which is then blended with Kombucha by Kefiplant, soda water, and their choice of flavor shot and then served over ice. 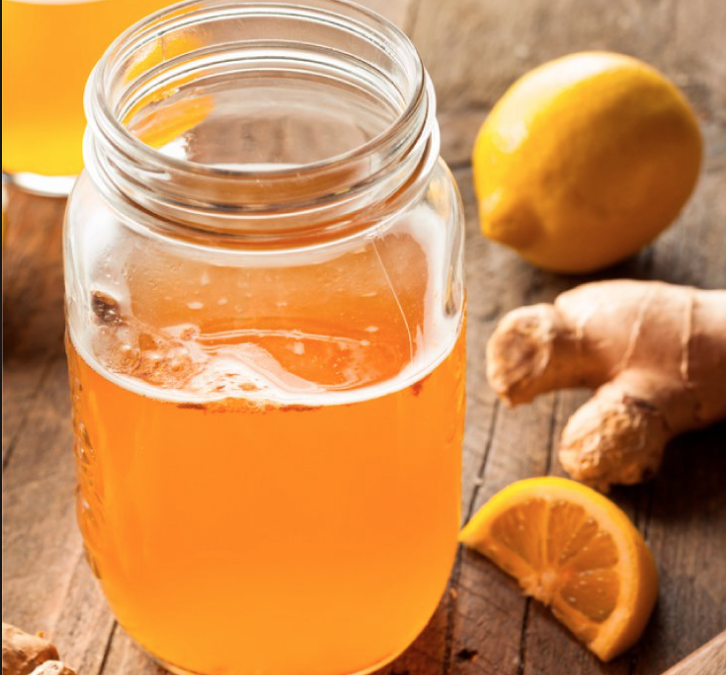 Kombucha is the latest signature beverage to be featured on Argo Tea’s new rotating Mixology Special, a permanent addition to the company’s café menu board. Kombucha is now available in all Argo Tea cafés in Chicago and New York as well as other participating locations through June, in three different sizes: small ($3.95-$4.45), medium ($4.45-$4.95) and large ($4.95-$5.45), which range from 25-113 calories. Since brewing its first cup of tea in 2003, Argo Tea has quickly become a household name and leading multi-channel, branded beverage company. Its ready-to-drink teas in Argo Tea’s iconic bottles are now available in over 20,000 outlets nationwide through partnerships with premier retailers that value its brand-defining commitment to quality, sustainability and healthy living. With nearly 50 Argo Tea cafés globally, it has established a brand building marketing platform that serves over 10 million cups of tea annually fueling its innovation. Argo Tea’s menu includes all natural-tea based signature drinks, over thirty varieties of loose-leaf teas, premium coffee, fresh-baked pastries, specialty foods, and a selection of tea ware and accessories.